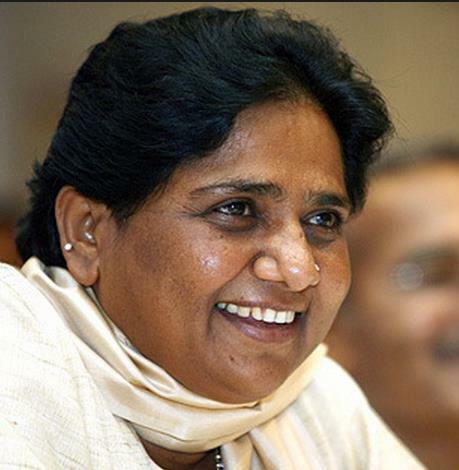 Mayavathi, four terms Chief Minister of India's most populous state, Uttar Pradesh, is its most famous Dalit (lower caste) leader who aspire to be its Prime Minister one day. Much like Barack Obama is for Blacks, Hispanics and a host of other groups of the American political divide, Mayavathi is an Icon and hope for millions of lower caste Hindus of India, who aspire for better opportunities still denied to them despite 60 years of Independence. If Mayavathi had once sent an aircraft to fetch her a pair of footwear, or showed off a diamond necklace in a mass rally, she had strong reasons which you and I didn't need to know but meant a lot to her followers, not just the whims of a vain woman. Mayavathi is no body's fool. She certainly wasn't showing off the 'Taylor-Burton diamond' of a love affair or was out to stun the world enhancing her beauty like Imelda Marcos. Since her public actions and pronouncements time to time reveal chinks of mettle and strength of character worthy of a Prime Minister of India, which most of her critics have failed to notice, she had perhaps valid reason for her famous caprices too. What if Mayavathi had simply wanted to show millions of her Dalit compatriots what they have a right to, like wearing expensive jewellery like the rich of India, thereby awakening their sense of their rightful place in society? Many of her recent political manures and supportive actions for the ruling UPA in parliament on critical legislation similarly smack of mature political thinking. Her concern for the nation above parochial indulgence is evident from her recent dig on Narendra Modi, three times Chief Minister of neighbouring state of Gujrath, who she declared is not fit to be a leader of India. That Mayavathi managed to muster the necessary majority support to rule the state four times as chief minister with the support of other parties and also render decisive outside support to the coalition governments at the centre is proof that this trained teacher has the knack of keeping her class together till the bells ring. Much has already been written how her social engineering skills have taken the wind out of the sails of the Congress party, which has ruled India for the bulk of the decades after its independence. Unlike the Congress which traditionally had the support of the upper class of Indian society and thrived on an inclusive plank to carry the lower classes by championing their cause, Mayavathi has shown, time and again, that the majority lower caste offering a real partnership for the upper caste is a better vote winning formula. Mayavathi has shown that she will base her election strategy on this tried and trusted formula, which can also work beyond the boundaries of her own state, as eventually it can give the same level of satisfaction to the masses as what the congress party, popular in many states, promise. In several ways, the inclusive approach of Mayavathi, a leader of the under privileged lower classes of India, which has a sizable majority, good enough to claim the chair of the Prime Minister of the country, resemble that of the US Democrats who found an acceptable and capable leader in Barack Obama. In contrast, the approach of Narendra Modi, whose supporters claim he could be India's answer to President Obama, despite projecting a Gujrath Model development and supported by the Hindu fundamentalists is seen as divisive character. Wait a minute, I hear you cry, what about the Taj corridor scam, the swindle of magnificent elephants and the disproportionate asset case against Mayavathi? Actually, the Indian apex court has examined the allegations and all but rejected them as without sufficient base to prosecute Mayavathi. If you view at the apparently extravagant government spending on the statues of Dalit leaders and her favourite elephants, from the point of view of millions of Dalits who remain underprivileged in the 21st century India, "They also serve who only stand and wait." If you think the garlands spun from Rs thousand bank notes which are presented to Mayavathi during her rallies and meetings are obnoxious, you haven't dined in one of those fund raising dinners of the Republican party or made an on line donation to Barack Obama's election fund. In reality there is little difference and really nothing to complain about an indigenous way of party fund raising. Don't you think it is a century or two early to talk about a corruption free government In a nation in the thick of development, in to which money is flowing in to from around the world? Especially when it is almost a democratic right in India to be enticed with soaps to part with your vote, the most fundamental guarantor of fairness in society. In a state where an Australian educated Engineer with a post graduate degree finds it imperative to promise and distribute laptops to win votes, after all talking about corruption, at least for now is pointless. Akhilesh Yadav wouldn't have wanted of any of his mates or faculty from the Sydney Universty where he studied, to be around when he had to go through the bare necessities of Indian democratic system.